Since Disney announcement that they were buying the Star Wars franchise, I’ve been dreaming of all the different creators that could put a new spin on Star Wars. This week, one of my dream choices is going to get his chance. It was announced that Rian Johnson, writer/director of Brick and Looper, will be taking over Star Wars for Episodes Eight and Nine after J.J. Abrams finishes Episode Seven. Not only will Johnson be heading directorial duties, but also will be taking over writing duties. While I think J.J. Abrams is going to have a good set-up for this new Star Wars, Johnson is definately someone who has a great creative mind who can create something truly out of this world. While the first trailer giving us a small glimpse into the new film, the second trailer gives us a little bit more to go on and it still looks fine. Directed by Jonathan Liebesman and Produced by Michael Bay, this new live action version of the heroes in a half shell shows them teaming up to stop there long time nemesis, Shredder. Even though I’m skeptical about how well certain aspects of what this film will have to offer, I’m still optimistic that this could be something pretty fun. I mean, it can’t be as bad as Teenage Mutant Ninja Turtles 3 or The Next Mutation. 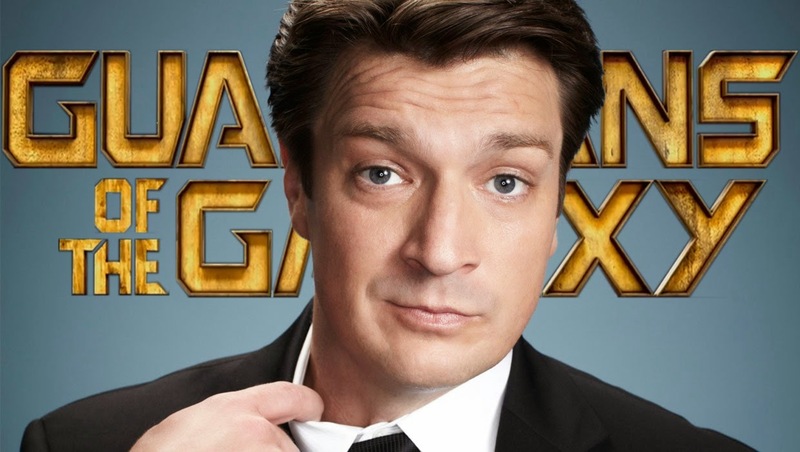 Last week, James Gunn, director of the upcoming Guardians of the Galaxy, announced via twitter that nerd king Nathan Fillion would have a small cameo in the upcoming film. When asked further, Gunn said that it wouldn’t be Nova. Sites like Io9 have guessed that Fillion may voice Russian space dog, Cosmo, because, you know, why not? I wouldn’t put it past Gunn to just have Fillion walk past the camera in his Mal Reynolds outfit. Fox Studios announced on Tuesday that director Shane Black is working on a new reboot of the classic Predator franchise. Hot off of Iron Man 3, Black will write the treatment for the project, then will hand over scripting duties to Fred Dekker. Black is also attached to direct but no release date was set. What we do know is that it will be a sequel, not a remake. A sequel to which film is the question. What’s pretty funny is that Black has a minor role in the original Predator film in 1987, so yeah, everything’s come full circle. What’s odd is this isnt even the first Predator reboot of this decade. Fox relaunched the franchise as Predators in 2010, starring Adrian Brody, Topher Grace and produced by Robert Rodriguez. I thought that version was really good and it’s weird that they didn’t capitalize on that. But hey, that’s Fox for you. Remember last week when I brought up the first trailer for the new season of The Legend of Korra and I thought it wasn’t coming out til September? Well I was wrong, the new season starts this Friday! With that announcement, Nickelodeon has released an extended first look of the first episode. Can’t wait for Friday! Upcoming Netflix series Daredevil got its leading lady this week when Sin City star Rosario Dawson was cast as an unknown female lead. Dawson will join Vincent D’onofrio and Charlie Cox. With production ramping up for a shooting start date next month in New York, more supporting cast members will be announced very shortly. “Rosario Dawson is one the most charismatic, talented and powerful actresses in Hollywood, so she was always at the top of our list for ‘Marvel’s Daredevil. Her role in the series is absolutely critical to Matt Murdock’s journey to become the hero we know as Daredevil.” Said Jeph Lobe, Marvel’s Head of Television. Daredevil will be followed by Luke Cage, Iron Fist and Jessica Jones at a latter date. The question now is who will Dawson play? The sure bet would be for Electra, but I could possible see her as a Lady Bullseye or Typhoid Mary. The pilot episode for CW’s Arrow spinoff, The Flash, isn’t supposed to air until the fall, but looks like someone messed up. The upcoming series appeared online Tuesday and was taken down as fast as it went up. That hasn’t stopped pirates from putting it up on torrent websites so hey, if your feeling a bit frisky, you can probably track it down online.